I love to see this fantastic island! Ring lap in Marstrand's 125th anniversary this year and Saturday's tour was booked for the North West Yacht Club. 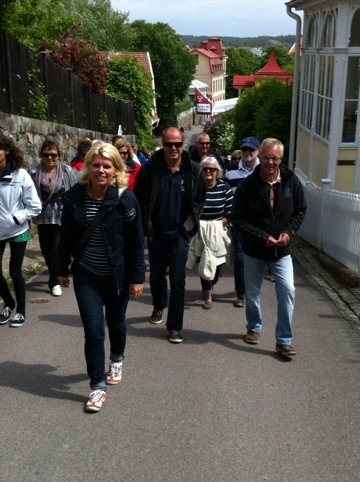 A good bunch that came out to the Marstrand's lesser known but very interesting places. I wish I had more time to hold guided tours, but who will write books?